Some freshmen wait to find their footing before taking on responsibilities outside their course load, but Kaeli Bryant jumped right into pursuing her passions before she even began classes at Indiana University Bloomington. As a senior at Greenwood Community High School, Bryant opted to conduct her own independent scientific research instead of sitting through a study hall period. She spent an hour each day searching her local environment for viruses to study and classify; that experience motivated her to pursue research at the university level. So when she saw the Integrated Freshman Learning Experience listed on IU's Selective Scholarships application, she checked the box. 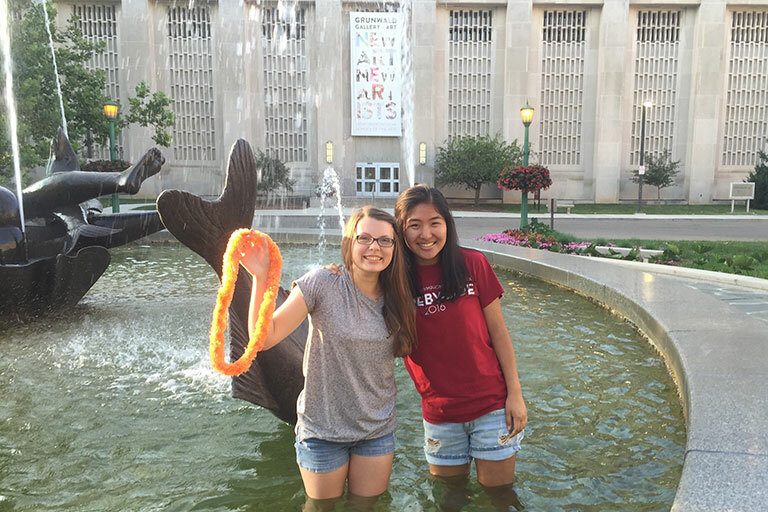 The pre-college academic program brings incoming IU students to campus the summer before their freshman year to spend six weeks in a campus research lab, where they gain hands-on experience in biology, biochemistry and neuroscience. The students complete an independent project, learning from faculty and graduate students. During their freshman academic year, the students are required to take an eight-credit-hour honors course that integrates lectures with lab components. "I feel like such a different person after completing the program," said Bryant, now a rising sophomore studying biochemistry. "I know so much more now than when I first arrived on campus." Bryant, also a Cox Research Scholar and Science, Technology, and Research Scholar (STARS), received a summer research scholarship through the STARS program to continue her work in the microbiology lab full-time this summer. She is also an undergraduate student mentor for the incoming freshmen currently participating in the Integrated Freshman Learning Experience. Seeing how much the mentors wanted to help them succeed and knowing the impact they had on her and her classmates along the way made Bryant want to do the same for others after she completed the program. Teddie Phillipson, the associate director of the Office of Science Outreach, facilitates both the Integrated Freshman Learning Experience and the Science, Technology and Research Scholars programs, and said Bryant is an important part of helping the incoming freshmen be successful. "She continues to give her all, stepping forward to take advantage of all that the College of Arts and Sciences has to offer and sharing her experiences with, and supporting, other undergraduates who are interested in exploring research possibilities," Philipson said. As one of four mentors, Bryant serves as a source of advice for the 11 students as they come to campus for the first time. Since the majority of the students are new to Bloomington and college, Bryant often answers questions about where to eat or what courses to take. But she also spends time helping them prepare for their research presentations at the end of the summer. Bryant said this component of the program is the most beneficial. Students who participate, herself included, want a career in research or in the science field, and the Integrated Freshman Learning Experience gives them a head start on honing skills they are going to need every day, she said. On top of her mentoring responsibilities, which keeps her busy two or three days a week, she spends 40 hours a week researching in IU's Newton Laboratory in Jordan Hall. 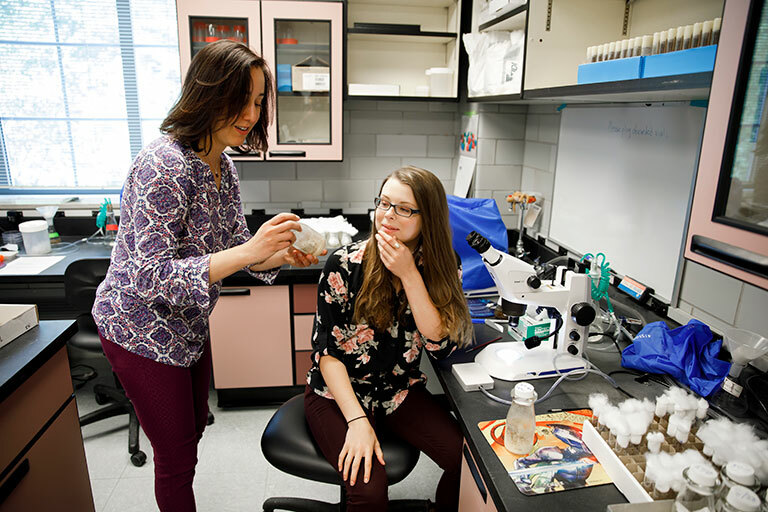 In her research, Bryant is working with fruit flies to discover more about Wolbachia pipientis, a type of bacteria that is present in over 40 percent of all insect species. It is an extremely prominent bacteria, with the ability to manipulate insects so that those without it cannot reproduce. Bryant is specifically studying the chromosomes of the infected fruit flies to pinpoint whether the infection by the bacteria changes the way the insect passes on its DNA to the next generation. The hope is that research will show yet another effect Wolbachia has on insects, including its use to stop the spread of deadly diseases such as malaria or the Zika virus. Irene Newton, the principal investigator for the lab, approved the project after Bryant pitched it to her and has watched Bryant's research skills grow over the summer. "Kaeli is intelligent and diligent in her work but also extremely creative and hard working," she said. Bryant's work in the lab has the potential to uncover direct implications for the way fruit flies adapt over time, Newton said. These end results are what drives Bryant. She enjoys seeing her hard work quantified when she discovers something new or solves a problem. "It may take me a while, but when I finally get it and I see the proof, that moment is what motivates me," she said. "There's so much to be discovered still. The only way we can solve those questions is if we do something about it." However, she has learned not to expect those outcomes immediately. The trial-and-error process that comes hand in hand with lab research has changed her outlook on success. And that isn't the only outlook that has changed for Bryant. Her experiences at IU have helped her perceive the world of research differently, whether it's equality within the field or the human nature of making mistakes. She said she has been reassured of her future and thrown out some of the preconceptions she brought with her to IU. "Being a female in the STEM field is a pride point for me," Bryant said. 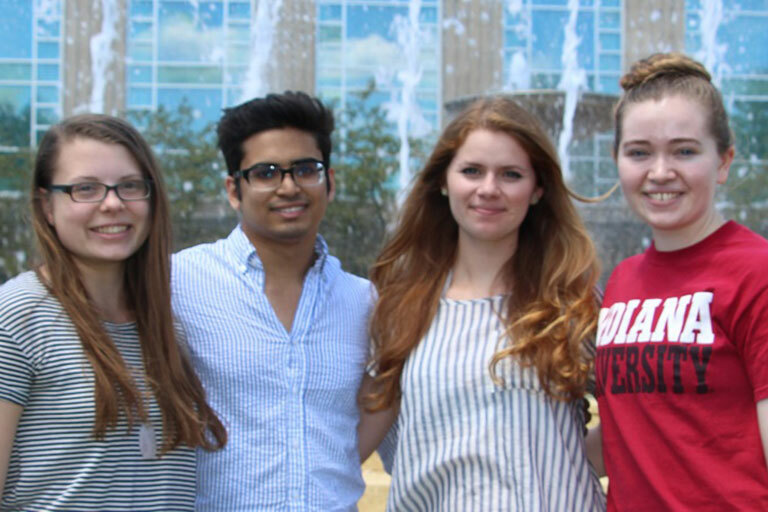 "But seeing the diversity at IU and how much everyone respects one another is reassuring. There is equality here, and I hope it will be that way wherever I go next." But perhaps the most important learning point for Bryant has been confidence. "I've always been one of those people scared to raise my hand or go out of my way to do things," she said. "My experiences at IU have helped me to be confident in what I can do as well as my academic strength. I know if I put hard work in, I will see a positive outcome." But when the summer ends, her research will not. As part of her participation in the Science, Technology and Research Scholars program and her Cox Research Scholarship, Bryant will continue to work 10 or more hours in the lab each week during the regular academic year. Her goal to be published by the end of her undergraduate career and eventually attend grad school, where she wants to continue to focus on biochemistry. And even though she is only beginning her sophomore year, the Indiana-born-and-raised student has her eyes set on a career as a medical scientist at Eli Lilly. "I would like to be able to help and make a difference behind the scenes," Bryant said.